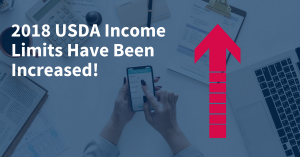 2018 USDA Income Limits have been increased!! How high are the 2018 USDA income limits? While many know that it is possible to make too much money for a USDA loan, what they don’t realize is just how high USDA income limits actually are. USDA just announced an increase to their household income limits for the Single Family Housing Guaranteed Loan Program. As you will see in today’s video, the USDA income limit increase can help both homebuyers trying to qualify immediately and also benefit families who are trying to increase their maximum USDA qualifying sales price. Also, if you have not yet done so, please download our USDA Blueprint for Success by clicking the image below. This complimentary guide breaks down the USDA process step by step, and is a great educational resource for the home buying process! What are the USDA income limits? A key part of USDA Loan eligibility involves determining if your household income will meet the USDA income limits which is also known as “Annual Income”. This will include all household members – NOT just those who are on the loan. Understanding your applicable county income limit is a critical step towards USDA qualifying. Examples of non-high cost Florida USDA counties include: Citrus, Hernando, Highlands, Hillsborough, Marion, Okeechobee, Sumter, and more. If you are a Realtor or a Home Buyer who had a previous situation where a loan was denied due to the income limitations in place, contact us today so we can put the pen to the paper and start reviewing. Remember, not all lenders have experience with processing and closing USDA loans. I see this each and every day on the 2nd opinions that come across my desk. 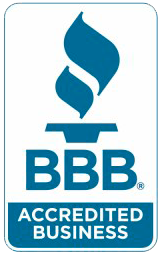 As an approved USDA lender, we are known for our program expertise and have specific systems in place to process USDA loans from pre-qualification to closing. Just call or email if you have any USDA qualifying questions, want to discuss a new scenario, or would just like to take advantage of our free 2nd opinion service which is great for those existing transactions.